00:48 Jeff sends us an AdWeek article on Marketing/IT Communication and wisely notes the horrible URL structure. A new Marketing Over Coffee Blog template coming soon. 02:40 The 12 Days of Marketing Over Coffee are upon us! Jay from The Marketing Spot Blog says he’s in. 04:42 Terri said she’d cover Podcamp Pittsburgh for us, Shout out to Dan York. 05:03 Michael from HP replies to the “Intelligent Email” comment from the last show – what is Adaptative Email? 10:33 Paco Underhill’s Why We Buy, remember that Marketing Over Coffee is always trying to get money out of you. 13:02 Andy calls breach of ethics on using focus groups for lead gen.
18:53 Thanks for the iTunes reviews, Femi asks about how to Nominate for the Marketing Over Coffee Awards, just leave a comment here. 20:44 Upocoming Event Watch: Not much, things are slow for the holidays, enjoy yours! 22:51 Question of the Week: Are you in for the 12 Days of Marketing Over Coffee? If yes, leave a comment here. 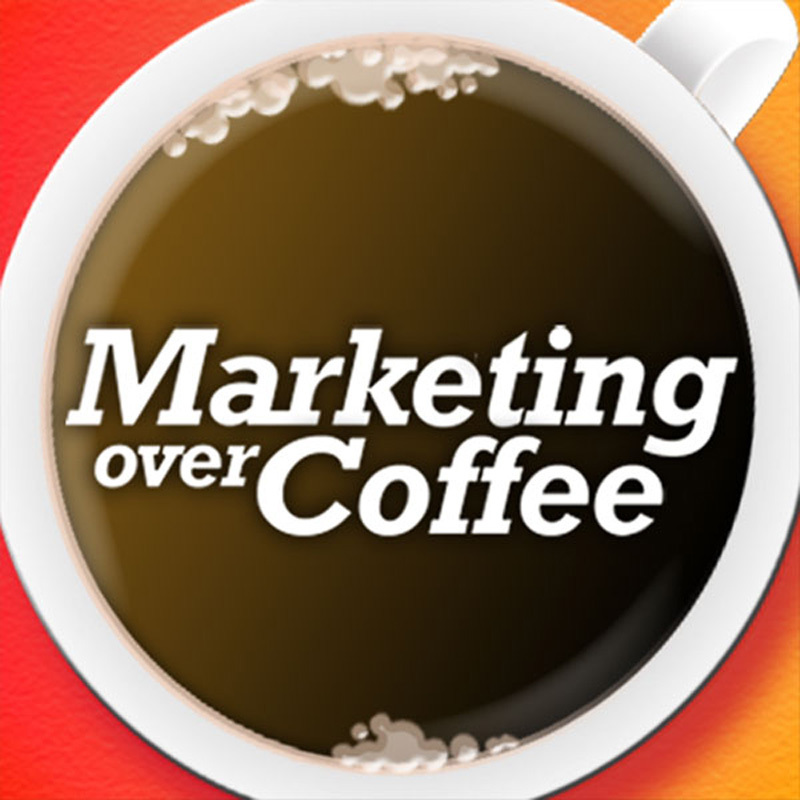 For the Marketing Over Coffee awards I would like to nominate for Best New Marketing Podcasts: Power to the Small Business by Jay Ehret and the BeanCast by Bob Knorpp . Shameless plug, but I'd like to nominate our Twitter integration, Jobs-by-Twitter for a Marketing Over Coffee award. Our site, Jobsite.co.uk works with the Twitter API to provide bespoke job tweets to our followers, offering a truly personalised service. The idea came about as a result of being frustrated by all the generic feeds of jobs being pumped into the Twittersphere by other providers. They offered no means to personalise important search criteria such as job title, salary and location – kinda crucial for jobhunting! As a geeky bonus, we built our own URL shortener – myjo.bs – to reduce the links to fit within the 140 character limit. Feedback from users and industry has been very positive. This is so funny, I’m posting the next show in a few minutes and we did a whole segment on why you should not be shy about nominating yourself for awards! Shameless plug, but I’d like to nominate our Twitter integration, Jobs-by-Twitter for a Marketing Over Coffee award. Oops! I should add where to view our Jobs-by-Twitter. Check out our Twitter page here – http://twitter.com/Jobsitejobs – to see the new service – 1,700 subscribers already using the service. Thanks. Enjoying the podcasts guys, very useful, keep them coming. This is so funny, I'm posting the next show in a few minutes and we did a whole segment on why you should not be shy about nominating yourself for awards!